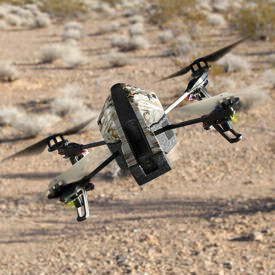 The Parrot Mini Drone Rolling Spider is a scaled down version of the larger, more expensive Parrot quadcopters. 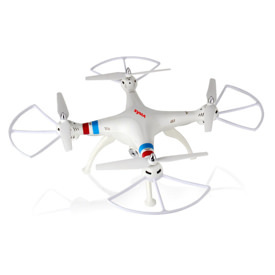 It is a toy, so it doesn’t come with GPS or nearly as many sensors as the Bebop or the AR drone. It comes in your choice of red, white or blue. The same colors of the manufacturer’s home country flag, France. It’s controlled by an app downloaded to your phone or tablet, but the most unique quality of the Rolling Spider is that it connects to your device through Bluetooth. This is a more reliable connection than WiFi, but it doesn’t allow you to stream video back to your phone. Not that you would want to, since the only camera on this toy is pointing straight at the ground. Although you can take pictures and video with the camera, it is not its main function. 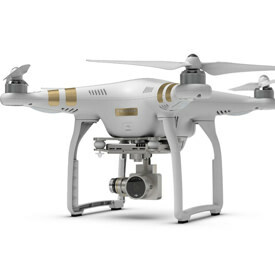 The camera is mainly used to measure height and speed to help with landing and stabilization. The biggest drawback appears to be the battery. Many people complain that the battery stops working after 3 or 4 flights. The first thing you’ve got to remember is that the Parrot Mini Drone Rolling Spider is a small toy. So all the complaints about lack of range are silly. 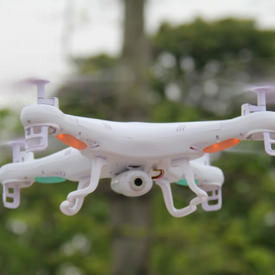 If you want something you can fly high or far in the same price range, then you should look at the Syma X8C. 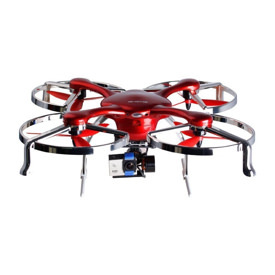 The rolling spider drone is built for use in and around your home. Don’t expect to head over to a soccer field and fly from one end to the other. The range is only about 65 feet. There have been reports that once the quad goes out of Bluetooth range, it will continue on the last command received. So if you are climbing up and you go more than 65 feet up, there is a good chance you may never see your toy again. However, if kept in range the Bluetooth connection is more reliable than WiFi. 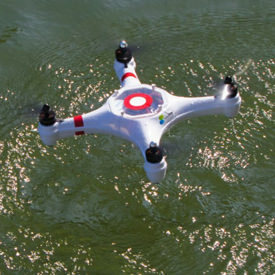 Expect to get somewhere around 5 to 7 minutes of flight out of a single charge. Charge time is somewhere around 90 minutes. There have been reports of only getting 3 minutes after the batteries have been used a bit, but that is to be expected. 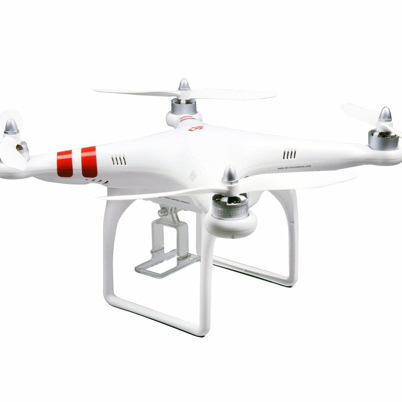 Many people have reported that after 3 or 4 flights the battery will no longer hold a charge. They report that the battery will only last 1 minute or just 30 seconds. It’s easy to find spare parts for the drone. Parrot Rolling Spider wheels, propellers and batteries can easily be found online. There is no manual included in the box, but you can easily find tutorials online and even download the app and start practicing before your Parrot Mini Drone Rolling Spider arrives. Support from Parrot is good. They provide software updates to fix known issues and have even reached out to people that leave negative reviews on Amazon. 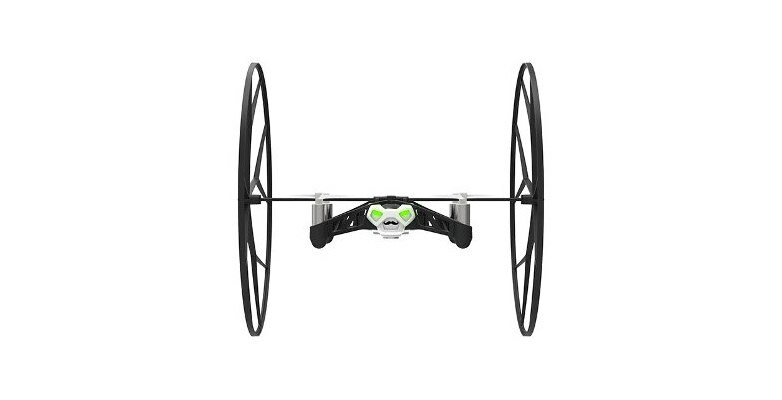 If you really want to buy the Parrot drone Rolling Spider, I strongly recommend that you get at least one extra battery and some extra propellers.